For a small town, San Luis Obispo has an astronomical per-capita supply of hearty, non-chain sandwich shops. 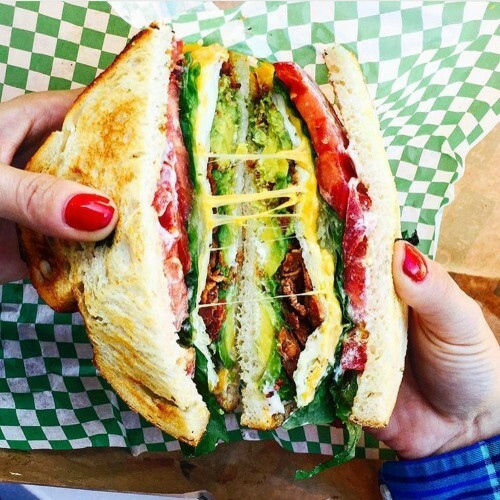 From heaping portions of BBQ on a soft bun, to a traditional ham and cheese with only the freshest ingredients, you will find all your sandwich-related dreams coming true with just one visit to San Luis Obispo. In our land of huge portions, you can buy one sandwich, eat ’till you’re stuffed, and still have enough left over for a snack later in the day. It’s the Central Coast way! Here are our recommendations for the best sandwich shops in the area, all of which are perfect for a leisurely lunch or late afternoon picnic. 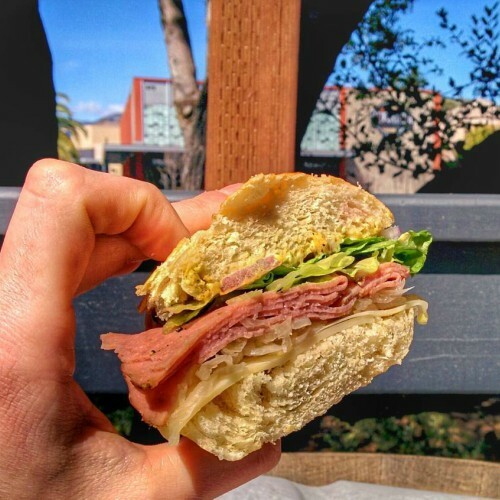 In a largely residential area; a bit removed from Cal Poly, and close to San Luis Obispo’s quaint downtown, Lincoln Market Deli takes up the street corner with a mom-and-pop grocery store, sandwich shop, and outdoor patio with plenty of seating. While not quite the same as it is now, the market on the corner of Lincoln and Broad has been there since 1941, when it was the first neighborhood grocery store in San Luis Obispo and became a fixture of the community. To this day, the deli remains a part of the community; it’s a place where locals and visitors can grab a bite to eat, enjoy the sunshine, play games, or watch sporting events. Plus, their sandwiches are consistently phenomenal; try “The Strandwich,” with roast beef or the “West St. Ranchero,” and soak in the ambiance. If you ever talk to a local college student about the best sandwiches in SLO, they’ll probably immediately say, with enthusiasm, that you HAVE to try out High Street Deli. This corner sandwich shop on High Street in San Luis Obispo is tiny but brimming with character and 1940’s charm that reflects the deli’s history. Their sandwiches are famous for being huge; constituting more than you’ll probably be able to eat in one sitting, and they’ll make them to your exact specifications, or try one of their specialty menu sandwiches. For a great deal, if you don’t mind a bit of a crowd, stop by between 4:20-5:30 for $5 sandwiches. 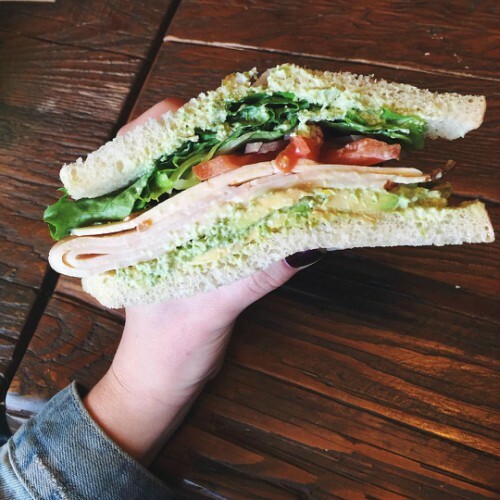 With a relaxed tropical, beach vibe, Kona’s Deli stands out as one of the most welcoming and casual sandwich shops in SLO. Unlike the other shops, the employees make the sandwich right in front of you, ensuring that you can get just the right amount of lettuce, pepperoncinis, or whatever topping you might desire. Kona’s owners’ bring in their Italian heritage to make sure that only the best, freshest ingredients are used in the sandwiches, and have created a unique “gelato panini” – essentially an Italian ice cream sandwich. Stop by Kona’s for a comforting, delicious sandwich that you can enjoy with a beer on the patio, or take out to the beach for the true Central Coast experience. The sandwiches here are often described as “hearty” – which also means that while they might fall apart while you’re eating, they’re super delicious. Gus’s is another classic neighborhood deli that has stood the test of time, and also offers salads, light groceries, and a generous selection of local craft-beers. Gus’s is right by the train station, and has a large patio with picnic-style tables, adding to the casual, local atmosphere of the shop. Make the sandwich your own with plenty of choices of sizes, meats, cheese, and bread. 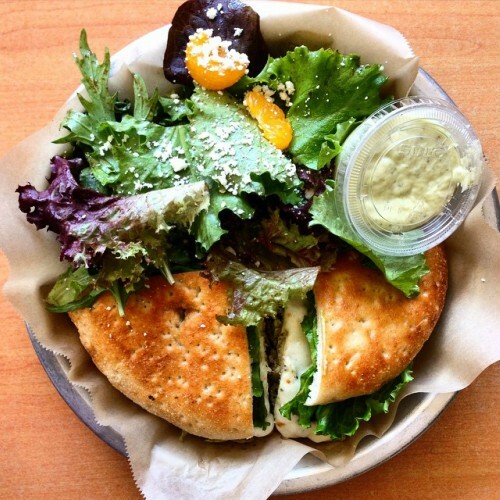 Urbane Cafe is actually a chain restaurant throughout California, unlike the other sandwich shops on this list, but it’s a great choice if you’re interested in some lighter fare. 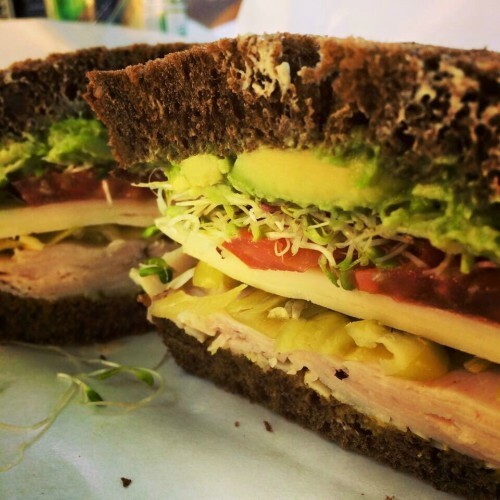 Other sandwich shops in SLO don’t mess around, with heaping portions of meat, cheese, and enormous baguettes, but Urbane offers healthy options and tasty sandwiches, salads, and soups that won’t completely obliterate your diet. Try the Pesto & Sundried Tomato sandwich, or the Santa Maria BBQ for a more Central Coast themed offering. We couldn’t write an article about sandwiches in SLO without mentioning perhaps the city’s favorite – Firestone Bar & Grill. The delicious tri-tip is famous throughout California, with travelers often stopping in San Luis Obipso on a road trip just for one of these sandwiches. 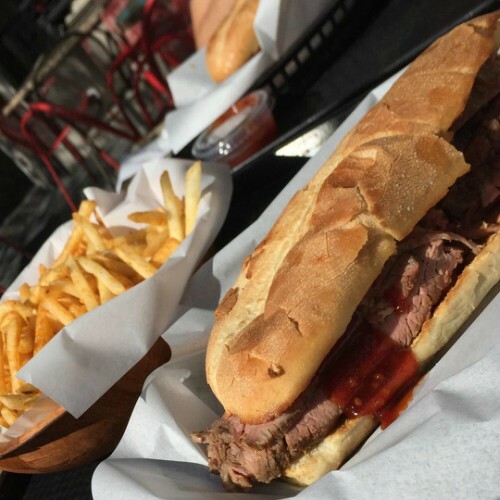 The tri-tip sandwich offers plenty of meat on a buttered, toasted baguette bun; with delicious, sweet BBQ sauce. It’s simple, but very popular, for a reason. They have a large menu with other great sandwiches, salads, and burgers, all ranch-themed and made from fresh, local ingredients. Don’t miss it for a Central Coast BBQ experience!